I have followed Nina Badzin’s blog, NinaBadzin.com, for quite a while and have always been impressed with her writing as well as her abundant sidebar. She was kind enough to answer my questions about how she got published and featured on SO MANY great sites, and shares her experience with submissions and being featured. Read on and I promise you come away with lots of great new information for submitting your writing! Beyond Your Blog: Can you tell readers about your blog, Ninabadzin.com? Nina Badzin: My blog is definitely a non-niche blog about life. More specifically, I tend to circle around the topics of parenting, marriage, friendship, reading, writing, social media, and Judaism. BYB: When did you start blogging and what made you start? NB: I started in November 2010, when I was querying agents for a completed novel I’d written. My friend from college, Jill Smokler, aka: “Scary Mommy,” let me write a guest post on her blog, and I also had a guest post on a well-read writing blog called WriterUnboxed.com. Before that time, I’d always claimed I would never start a blog. However, days after those posts went live, I was so excited to start my own blog that I set up shop with a free site from wordpress.com. I’d already been on Twitter for about nine months before I started my blog, and I was also a blog reader (of just a few at that time, which gave me a sense of how things worked). I feel that any success I’ve had (in developing a trusted reputation) is due to the fact that I understood from the get-go that you absolutely cannot make it all about you. Not one of us is “special enough” to act like we’re the only voice in town. 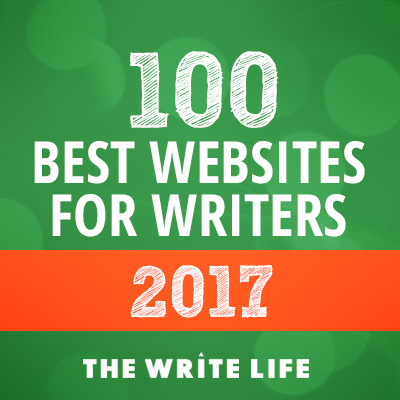 BYB: One of the main reasons I’m so excited to talk to you is because your featured writing credentials are amazing! Let’s walk through some of them. NB: I got on Writer Unboxed, at first, because I was a regular reader, and I applied when they opened a spot for an unpublished novelist. (I was writing novels at the time.) I did not win the spot, but I was a quarter-finalist, which meant they would use one of my posts. The other post I used in the application process, “Confessions of a Query Letter Addict,” I ended up placing at another big writing blog called Write it Sideways. Although I didn’t get the position at Writer Unboxed, I remained an active part of their readership. When they decided they wanted to start a column for Twitter tips a few years later, Therese Walsh, one of the blog’s leaders and an author I respect, asked me to do it. It was a really fun column to write, and I was honored to be part of the team there. I’ve only had one post successfully accepted by BlogHer, which was early on in my blogging career. They have an easy submission form so it’s always worth a try. I do think it’s awesome that BlogHer is open to syndication and that they pay for posts that have already been published. That’s rare to find, which brings me to The Huffington Post. Kveller.com, a Jewish parenting site, is a site I loved reading, and I felt that my voice would be a good fit. I love writing about so many different aspects of Judaism. It’s a big part of my identity and something I’m passionate about. Kveller is a great example of a place where the pay is not high, but they DO pay. 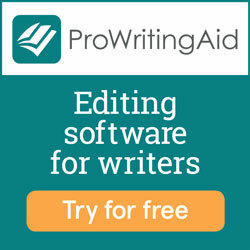 The readership is big, and the editor really works with writers to make improvements and suggestions. They made me a “contributing writer” to the site, and I love a good title! For The Jewish Daily Forward, I found the editor’s name of the section I felt fit me most, and pitched a few ideas (she took one), then pitched an entire series, which they published. I’ve had other pieces there as well. It’s a great experience with helpful editing, and a professional newspaper-like experience. I got the one-year bimonthly writing position on Brain, Child Magazine’s site by first submitting the piece I had read in the 2013 Twin Cities cast of Listen to Your Mother. They did not pay me for that post, but it brought my writing to the editors’ attention. My post did very well there (in terms of comments, and I assume, traffic) and they invited me to apply for a regular blogging position. I was so excited when I got it! I loved having a regular gig that paid, and brought me a well-respected writing credential. I’m at the end of my stint with Brain, Child, and I’m so grateful for my relationship with the editors and fellow writers that I developed there. I hope to still submit there once in a while. I also had a piece in the print magazine this past year, which was a thrill. When Brain, Child ended I felt a little lost and expressed that feeling to my writing buddy, Jessica Smock of The Herstories Project, which she also runs with another blogging friend of mine Stephanie Sprenger. I had a piece in their first anthology about friendship, and I’ve really respected the brand they’re building. Jessica said, “What if you did an advice column for us?” I LOVED the idea, and the first one goes up September 17th. The column is called “HerTake: Practical Tips for Modern Connections.” We’re mostly focusing on relationships online and in “real life” with all the modern issues that come up these days. What do you if you’re always commenting on a friend’s blog, but she never returns the favor? What if you meet a blogging friend in real life and all the good chemistry you have online disappears in person? What if your spouse’s family hates your blog? Stuff like that. People can read about what to expect for this column as well as submit anonymous questions on the form HERE. I also write a monthly column for tcjewfolk.com, which I really love doing. I started out writing for them for free when they first started their operation four years ago, and they recently offered me a monthly paid column, which I happily took. The best and most heard tip for submitting successfully is a very true one: You have to read the work at the places you want to submit. BYB: What is your strategy for selecting sites to submit to? Are there certain benefits you are looking for? NB: I look for a place that fits my voice, a good reputation, editors I respect and trust, a nice layout, and social media know-how. At this point, I will rarely write for free unless it’s for a literary magazine or the occasional blog for a friend. I do write for free on the book review site I help run called Greatnewbooks.org. That’s a good example of a “labor of love” site. None of us gets paid, and we do it out of a love for books and the joy of participating in the book blogging community. The literary magazines where I’ve had short stories published are all tiny operations. I’m just glad that my stories found homes. BYB: How much time would you say you spend on submissions per week? NB: That’s hard to measure. Some weeks none at all. For the past few weeks I’ve been working on placing a High Holiday article that I really believe in. So far, no bites without certain revisions that I don’t feel comfortable making for the sake of the privacy of family and friends. It was hard to walk away because one place I’ve been trying to get to for a long time felt the essay might work if it had a few more personal details. Ultimately, I didn’t feel the byline was worth the potential problems it would cause. BYB: For every acceptance you get, how many rejections would you say you get? NB: For the fiction, WAY more rejections. Maybe 20 rejections for every acceptance. (I’ve had about 10 stories published so that’s a lot of rejections!). For blog posts and essays, those have a higher success rate. But there have been rejections. The series I published at The Jewish Daily Forward, for example, was first rejected at Tablet Magazine. BYB: What things did you do to promote your posts after they go live? NB: I rarely post on my blog more than once a week. If I have an essay elsewhere, then THAT is my post on my blog that week, too. I just write a teaser post on my blog and try to entice the reader to click over. That teaser post will also be the content I use in my weekly newsletter. In addition, on Facebook and Twitter when promoting that post, I provide the link to the actual post, not to the lead-in on my blog. People will only click so many times, and I think the “host site” deserves the traffic, not mine. BYB: Can you share your one or two favorite sites to be published on and why? NB: I love being on Kveller. The readership is active and conversational, and the layout is great. Molly, the editor, is my favorite editor to work with. Greatnewbooks.orgis also a joy because it’s a team operation where we all celebrate authors’ hard work on the books we’ve loved. BYB: Any specific sites on your radar to submit work to in the future? What is at the top of your aspirational list? NB: Motherlode at the New York Times, Washington Post, and Tablet Magazine.